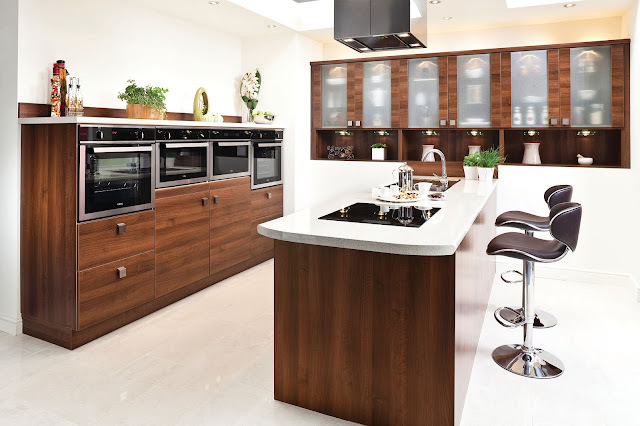 From cooking the basic day to day need of life, kitchen hs turned out to be one of the most luxurious part of a well designed and planned home.There are millions of options spread around to pick up the right that suits a home. 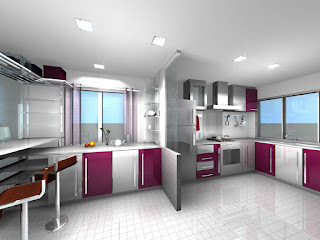 Here a few most popular and selected ideas are being shared. This is a very common European styled kitchen with white closets.The idea of hanging candles makes it more unique. 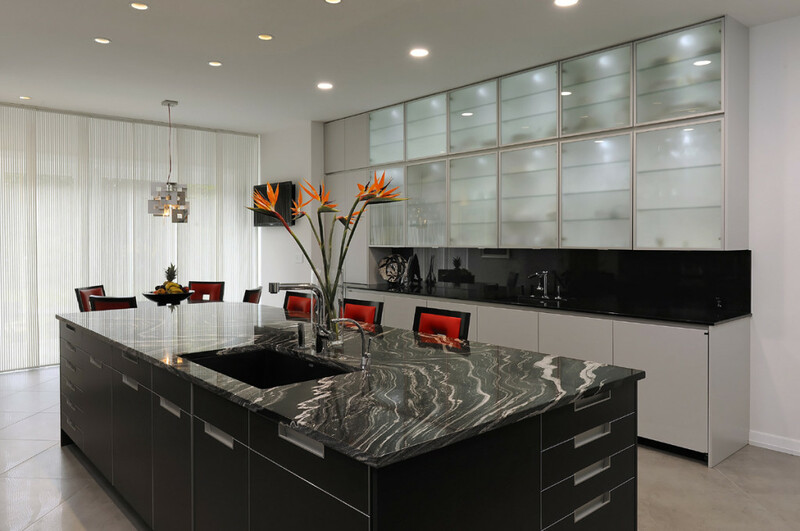 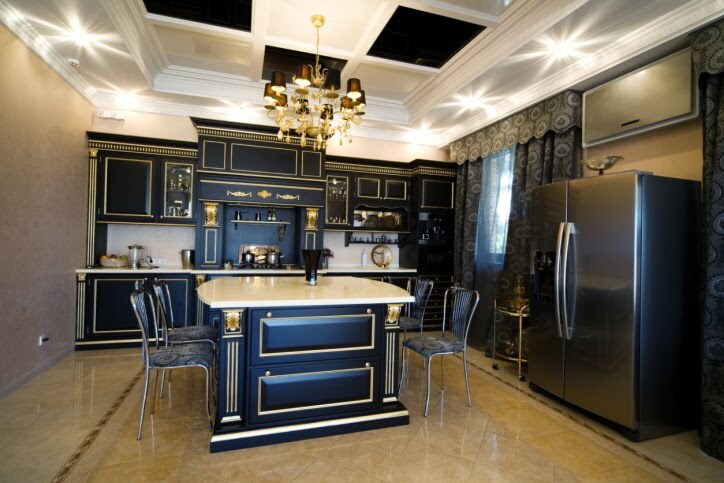 In contrary to the previous one, this is completely a black styled kitchen at the same time luxurious too. 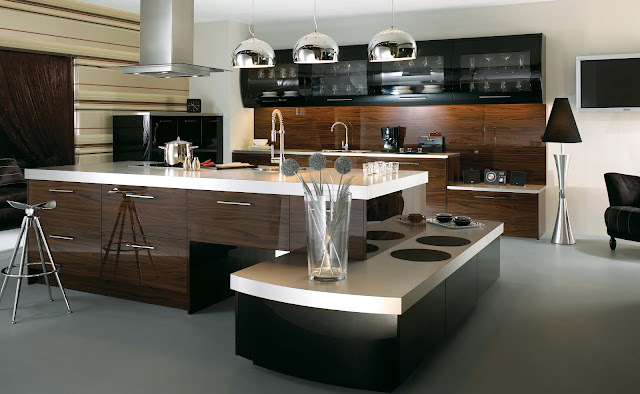 A very simple looking kitchen with all aspects of luxury inhaled... 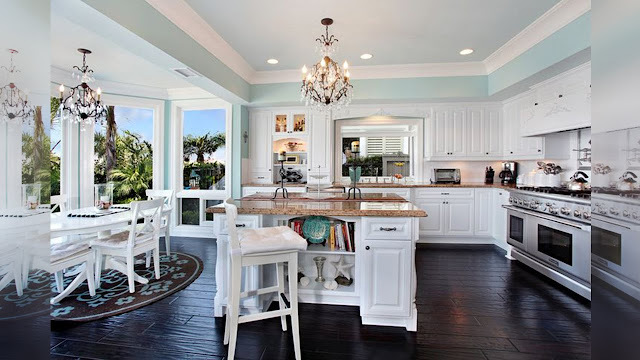 The standard mix of colors make it look more elegant and appealing to the eyes. Here is a picture of larger kitchen which could accomodate a comfortable space for the diners too.. One side of the wall is completely occupied for windows making it look more wider and brighter.. 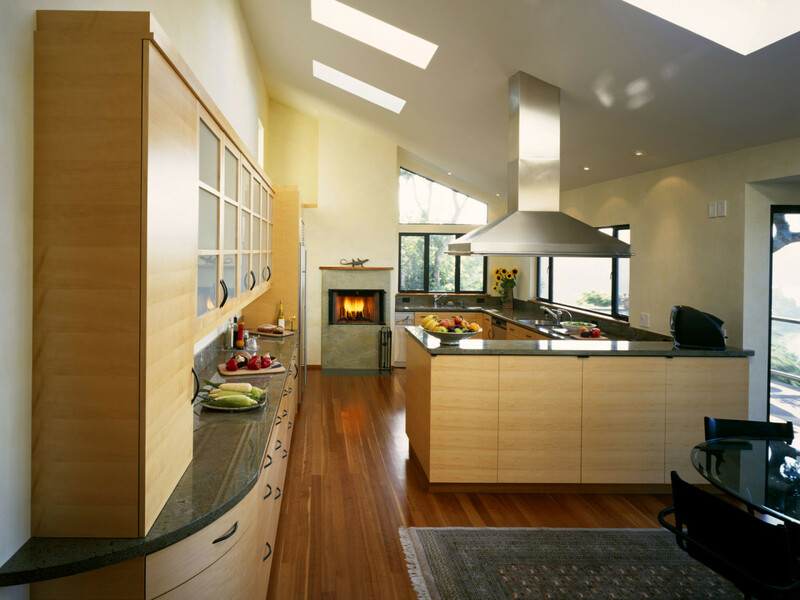 The luxury kitchen lovers should make use of this thought to preoccupy a complete wall for windows.. 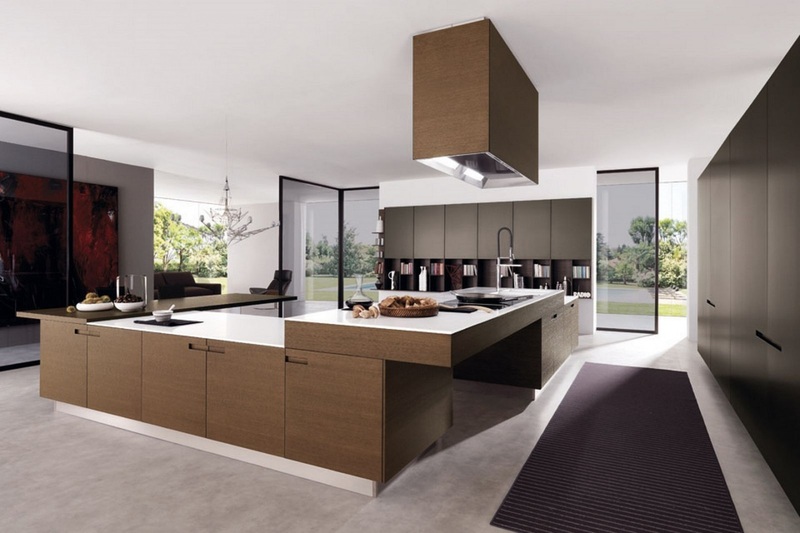 This is an example of naturally well lit kitchen with the standardised brown wardrobe look that appeals to all the kitchen design explorers.. 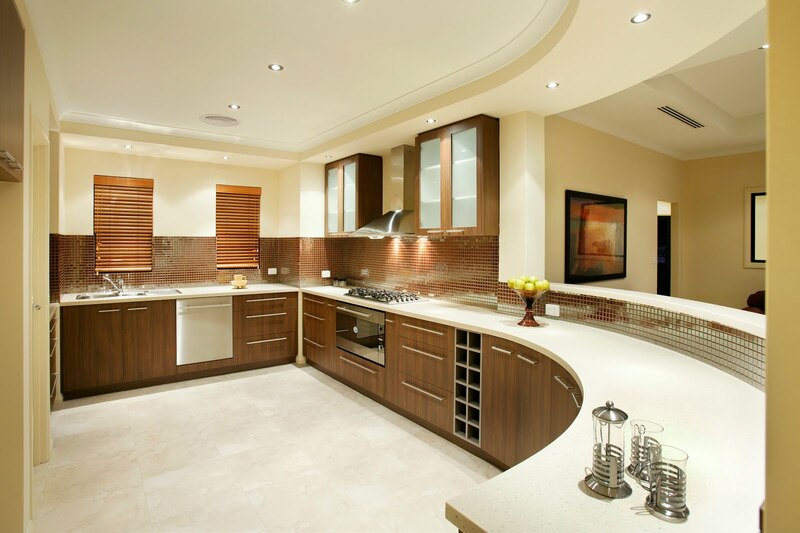 The below kitchen consists of just two sections with the centre one for cooking range and washing and the other part for appliances.. 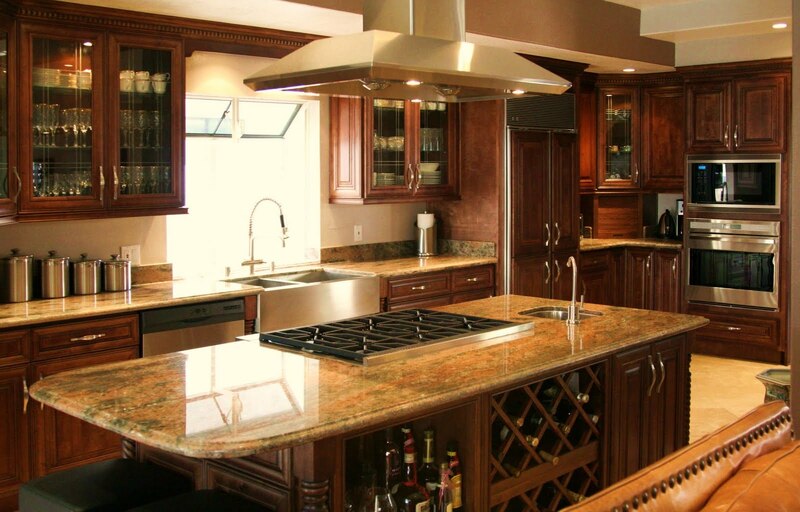 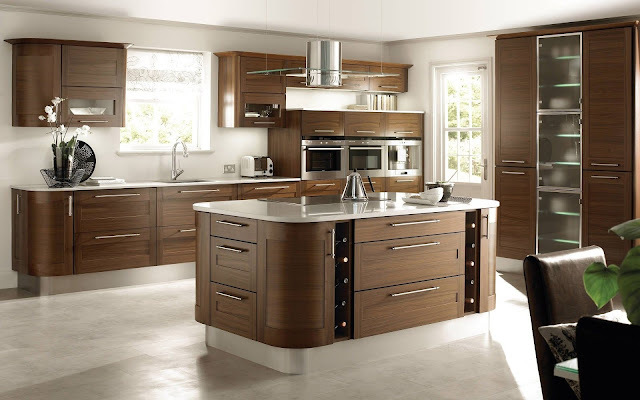 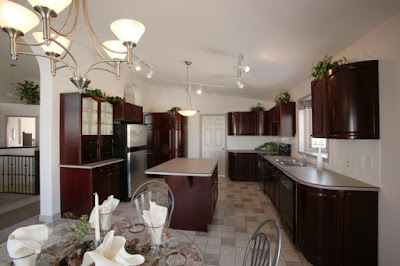 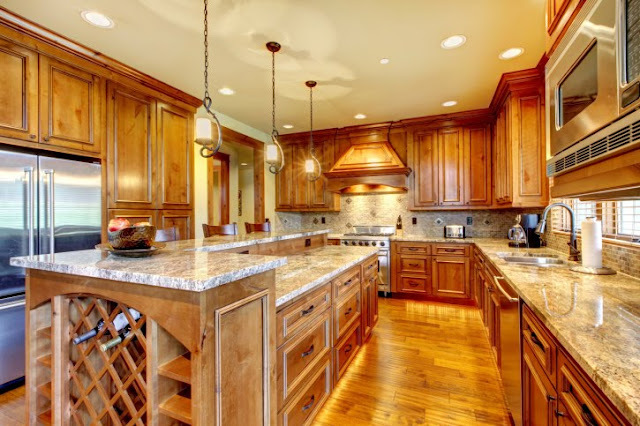 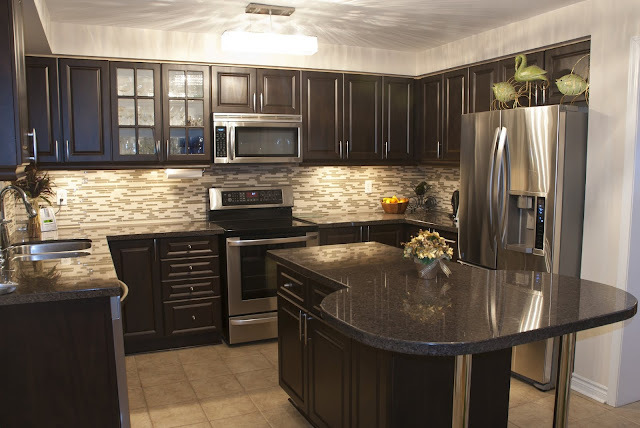 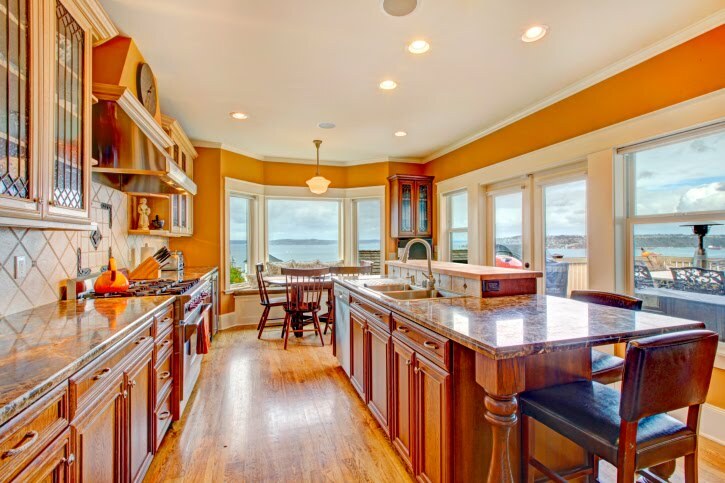 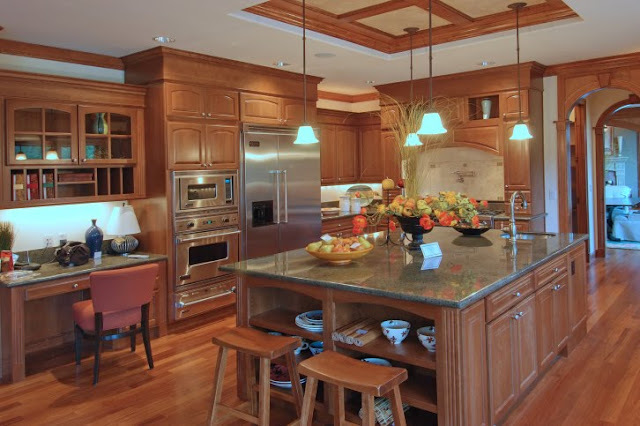 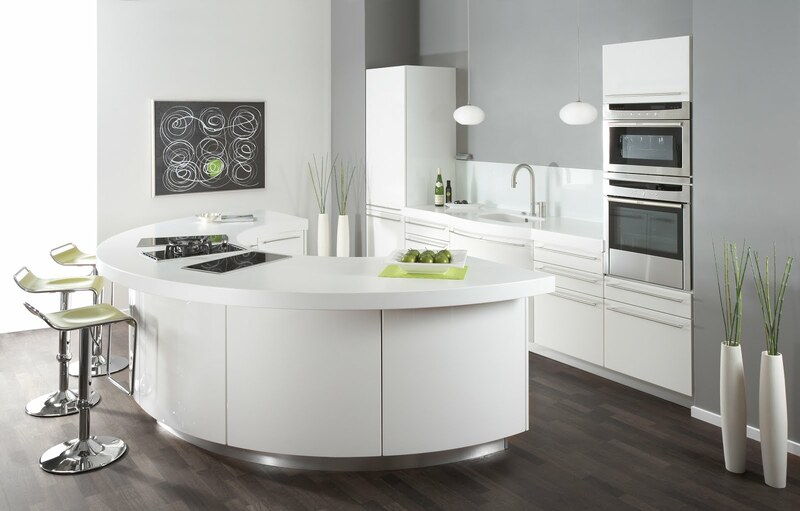 Here comes the dream kitchen which includes all sorts of luxury from the walls to the floor.. The twin chandeliers with the candlelight give the kitchen all its glory.. 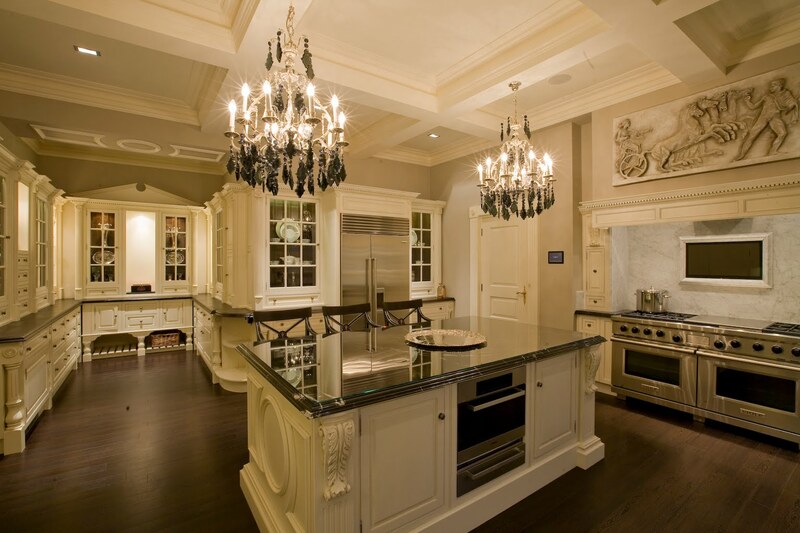 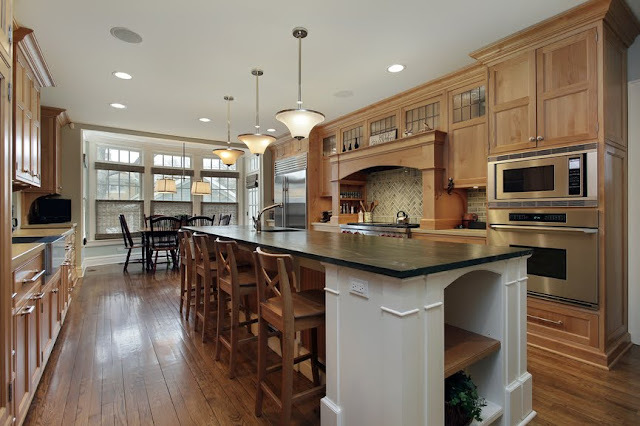 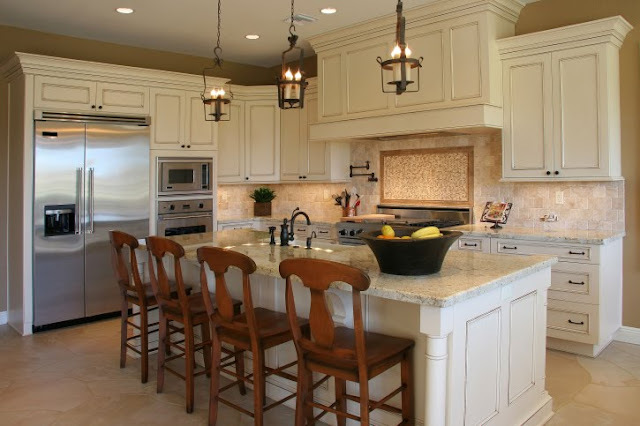 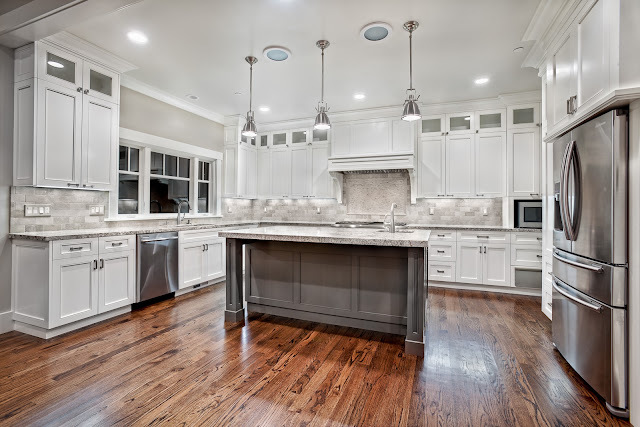 So Chandeliers are not only meant for halls but also for a absolutely stunning kitchen.. This is basically the personal best of the kitchens presented here due to its aesthetic look and modern thought merged into one. The best thing is it is not overloaded with chunks of cupboards on walls and is also connected with the dining hall. 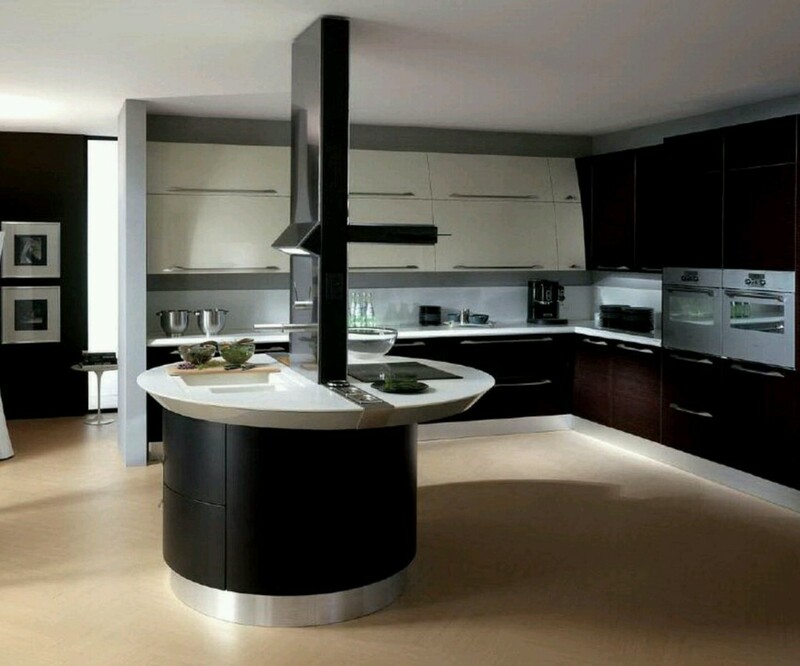 A modern kitchen which beautifully separates the dining section from the cooking area.. 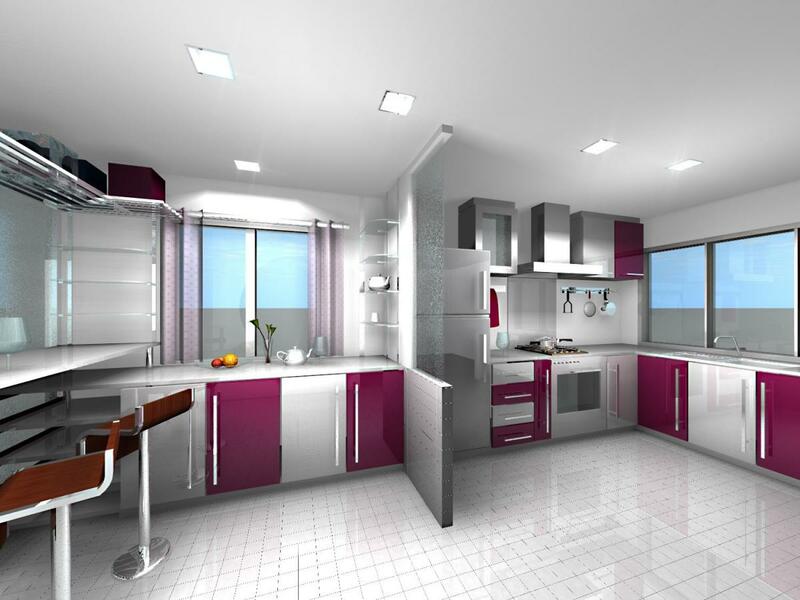 The rare combination of purple silver colour adds to its beauty.. 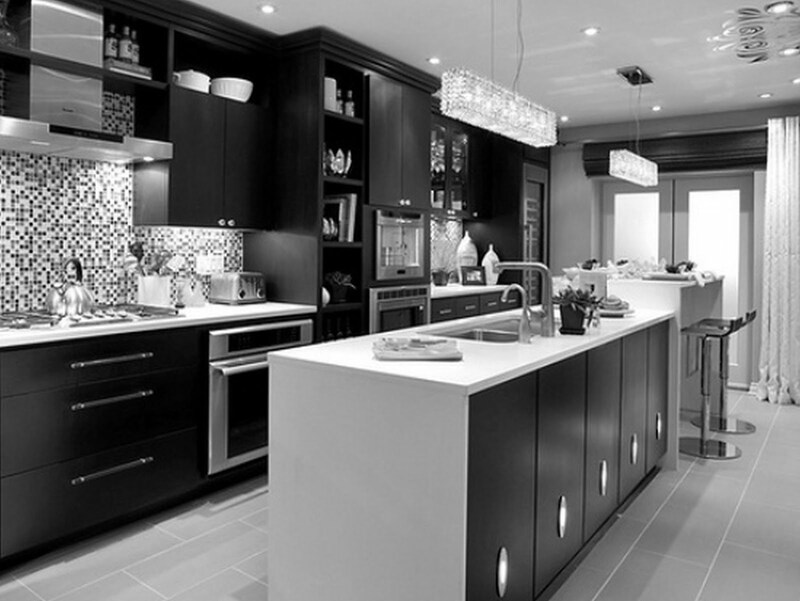 This would make your eyes go vow for sure for its black and white beauty along with the glassy look..